If your order weighs less than 13 ounces, save huge on shipping with USPS first class (with tracking number). This product weighs 2.6 oz. 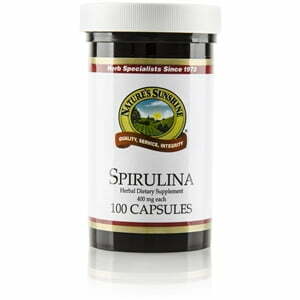 An algae that grows in fresh waters internationally, spirulina is a rich source of all eight essential amino acids, chelated minerals, natural plant sugars, trace minerals, and enzymes. This nourishing herb which is easily absorbed in digestion also provides the body with natural chlorophyll and B12. It can be taken before meals. 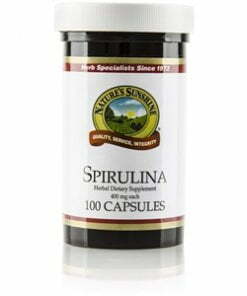 Nature’s Sunshine Spirulina capsules are 400 mg. Instructions: Take two capsules with a meal three times daily.